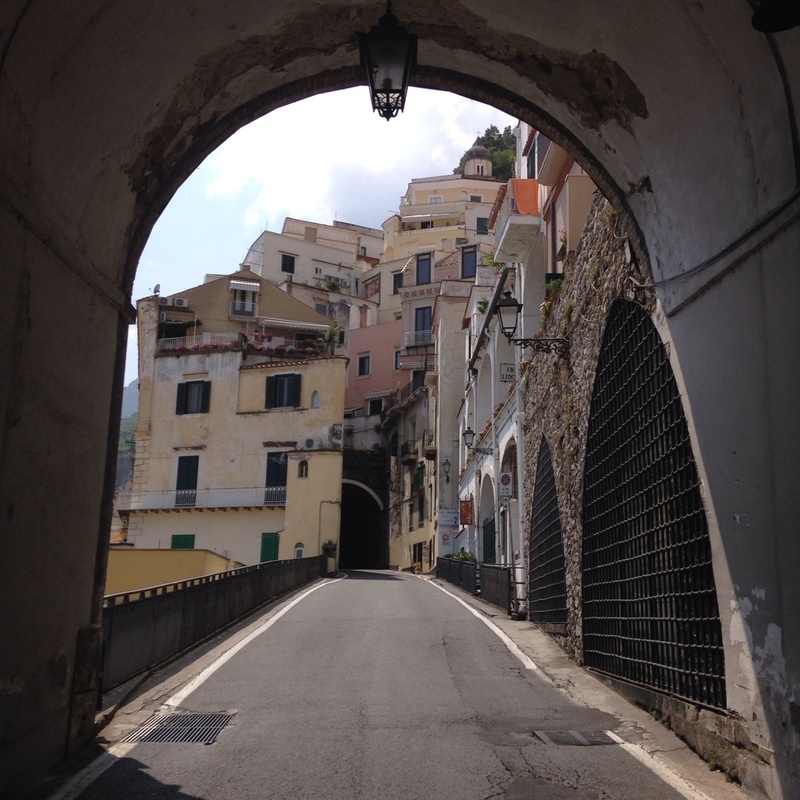 Just southwest of Naples, you'll find the ancient port city of Amalfi. 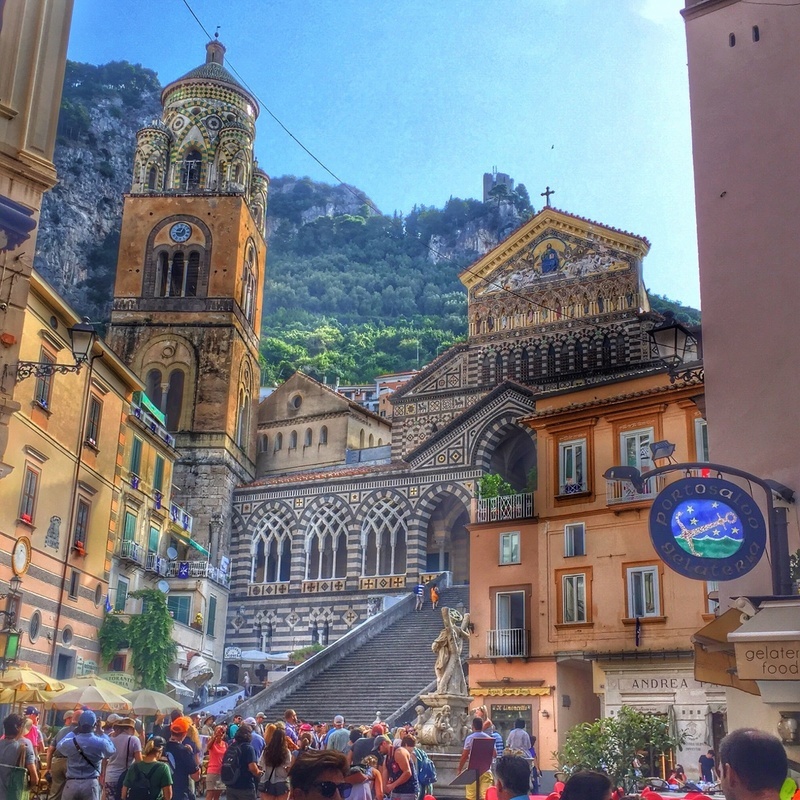 Visit the Cathedral of Amalfi, which dates back to the Ninth Century, and the Arsenal gateway to the sea. Five kilometers from Amalfi is the bay of Conca dei Marini, home of the Emerald Cave, named for the color that it takes when the light of the sun comes through its tunnel. Notice the Arab influence on the local architecture in the Cathedral of S. Andrew and the Duomo of Amalfi. Wow! We've been traveling for about 11 days now and by far Carmine's Amalfi coast tour with Pompei were the highlight of our trip. Our driver Eugene was outstanding - so personable, I wish we lived closer as I'm sure we would be good friends! They arranged a guide for us at Pompei - Lucio Viniccia who was amazing. You could tell he was so passionate about his job & told us so much more than the other tour guides. Eugene also took us to a Fantastic place for lunch - with a spectacular view of the Amalfi coast. It was true home cooking & farm style servings @ La Tagliata Fattoria. So much really, really good food & wine with such a large variety. All in all it was truely a fantastic day and highly recommend you use Carmine's Amalfi coast tour when in the area. Great sightseeing, enjoy a local meal, buy some Limoncello for your stateroom. Incredibly Scenic drive along Amalie Coast. I’d hate to be a bus driver here. Observe the scratches & dings on the buildings along the sharp curves. Whoa!!! Pompeii is a Great stop, too! 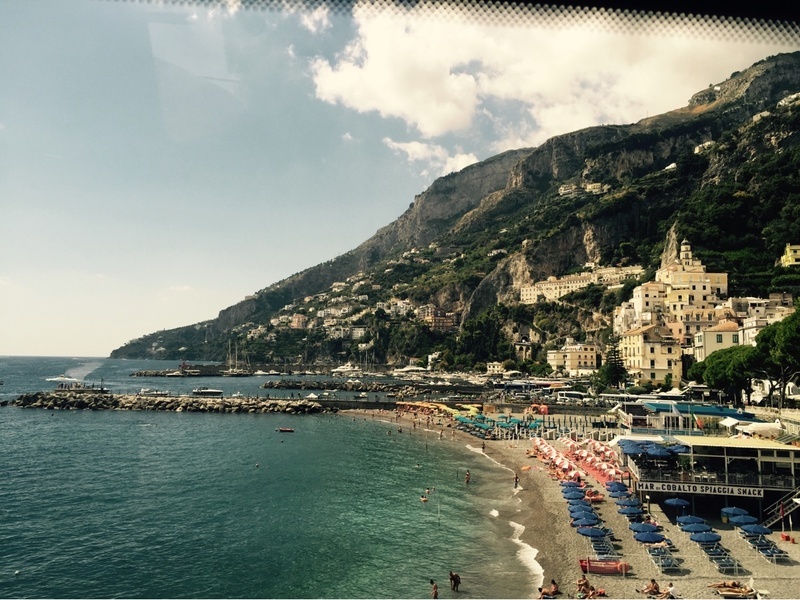 3 of 9 shore excursions in Amalfi, Italy. 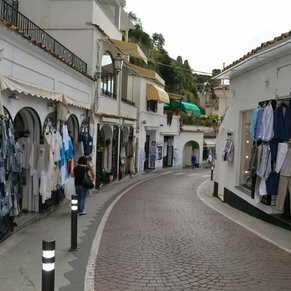 There are currently 4 discussions about Amalfi, Italy.